Targeting bile acid signalling in the brain may be a novel way to treat cocaine abuse. Washington: According to a study, bile acids - which are critical for digestion and absorption of fats and fat-soluble vitamins in the small intestine - could reduce the desire for cocaine. Researchers at Vanderbilt University Medical Center and the University of Alabama at Birmingham suggest that targeting bile acid signalling in the brain may be a novel way to treat cocaine abuse. Vanderbilt investigators Charles (Robb) Flynn, and Naji Abumrad, John L. Sawyers Professor of Surgical Sciences, have long studied the metabolic changes associated with bariatric surgery for weight loss. "Surgical patients experience dramatic changes in glucose regulation and in taste preferences and food cravings while they are still in the recovery room," Flynn said. To explore the effects of bariatric surgery and elevated bile acids, Flynn's group developed a simpler surgical procedure in mice called bile diversion, in which the gallbladder is surgically connected to the end of the small intestine. Bile diversion in an obese mouse produces all of the beneficial effects of bariatric surgery: weight loss, reduced food intake and improved oral glucose tolerance, Flynn said. With colleague Aurelio Galli, the investigators found that bile diversion surgery in normal-weight mice reduced cocaine-induced increases in brain dopamine release and reduced cocaine-associated behaviors. The study is the first to demonstrate a central nervous system role for bile acids in altering reward-related behaviors, and it opens the possibility of treating drug abuse in new ways. 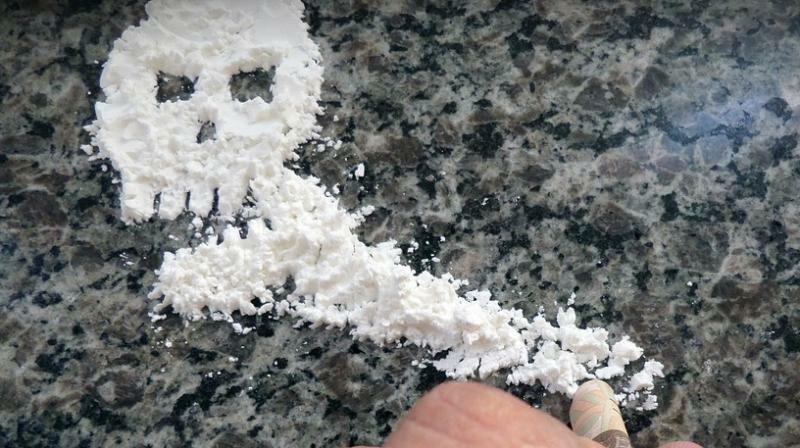 "Will bile acids cure cocaine addiction in humans? We don't know, but our research certainly suggests that bariatric surgery or consumption of bile acids may have beneficial effects," Flynn said.